Accurate diagnosis is critical since effective treatment depends on the source of the pain. Millions of Americans deal with pain on a daily basis. 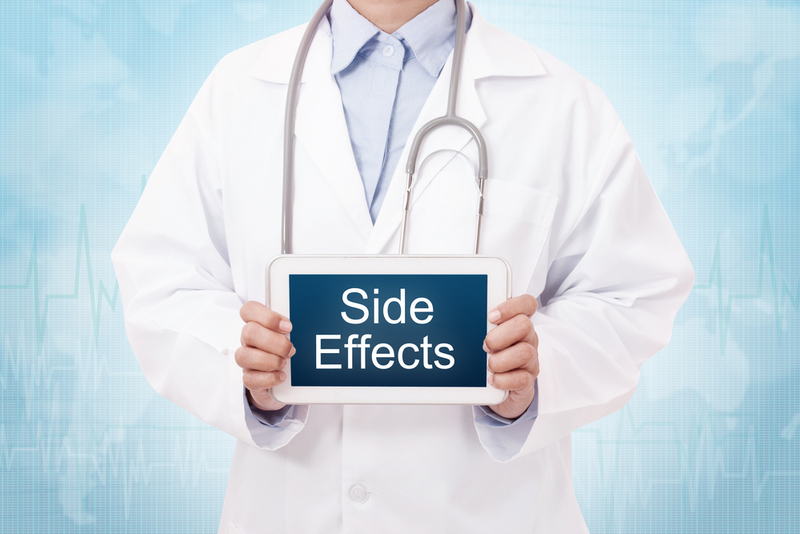 This isn’t too surprising considering that dozens of ailments can cause painful side effects. Experiencing pain can be a symptom of a serious condition, such as mesothelioma, or something minor like a pulled muscle that will improve on its own. Decreasing pain has become a major focus in the medical community. Unfortunately, some treatments can be counterproductive. We’re now learning that opioid painkillers aren’t just highly addictive. Research by medical sociologists at the University at Buffalo suggests they also make people more sensitive to pain. Pain should never be ignored. It’s the body’s way of signaling that something is a miss and needs to be diagnosed. Accurate diagnosis is critical since effective treatment depends on the source of the pain, which is highlighted in the examples below. Over 3 million Americans suffer from fibromyalgia. The condition causes musculoskeletal pain throughout the body along with fatigue and mood changes. Currently, doctors have not been able to identify what causes fibromyalgia. It’s believed that genetics, infections, emotional trauma and/or physical trauma play a role. For most people, prescription medications do little to ease the pain. Fibromyalgia treatment can be complex due to the uncertainty of what causes the condition. Typically, treatment involves multiple approaches, including physical therapy, spinal manipulation and increasing endorphin production. Massage, acupuncture and deep tissue laser therapy are also used to treat fibromyalgia. Dehydration can throw the entire body out of whack. When the body is dehydrated blood volume decreases. This makes the heart work harder to pump blood and oxygen to muscles. Dehydration is also been shown to trigger migraines and headaches. It doesn’t take much for cognitive function to be thrown off. Studies have found that fluid loss of just 1.36% is enough to cause a headache. Staying properly hydrated not only decreases the frequency of headaches, it can also decrease the duration and intensity as well. Mild to moderate dehydration can be treated simply by consuming more fluids. However, severe dehydration is life-threatening and could require IV fluids. A number of back-related problems lead to chronic pain. Among the most common is herniated discs. The discs between joints in the spine provide support and a buffer between the bones. When the disc degenerates it becomes herniated and doesn’t provide support. A herniated disc causes the spinal nerves to press together and can create pain anywhere from the shoulders to the feet. The vast majority of patients don’t require surgery to correct a herniated disc. Often the problem will naturally improve, but pain can be experienced for a month or longer. The discomfort can be controlled with physical therapy, steroid injections, electrostimulation, heat/cold therapy, chiropractic manipulation, spinal decompression and deep tissue laser therapy. People who type on a keyboard for hours each day are at an increased risk of carpal tunnel syndrome (CTS). It’s become so widespread, CTS accounts for 60% of work-related injuries in some industries. CTS occurs when a pinched nerve in the wrist causes painful tingling and discomfort in the adjacent hand. It’s common among people who are 40-55 years old, particularly women. The treatments used to alleviate CTS pain depends on the severity of the condition. The most severe cases will require surgery to correct the problem, however, it may not be a permanent solution. Corticosteroid injections can be used to provide temporary relief, however, they don’t treat the actual condition. Many medical experts agree proper wrist support and noninvasive procedures such as deep tissue laser therapy are the best course of treatment. Temporomandibular joint disorder also referred to as TMJ, affects the joints and muscles around the jaw. It’s often caused by unconscious teeth clenching (bruxism), prior physical trauma to the jaw or dental problems that cause misalignment of the jaw. This results in pain as well as difficulty moving the jaw. The treatments for TMJ can range from hot/cold therapy to surgery. People with TMJ often have to adjust their diet to avoid putting strain on the jaw joints. Medical devices like bite guards may also need to be worn to prevent further injury. Massage and physical therapy techniques can also be used to reduce pain and improve mobility.